It’s quickly becoming clear that social gaming is a goldmine. Zynga is reportedly making as much as nine figures in revenues, and as users become more accustomed to microtransactions, these figures are poised to grow even more. But it’s also an incredibly difficult space to break into – for every successful game, there are countless others that go unnoticed, even if they have very similar gameplay. So when I say that a new startup called WonderHill has a good chance at making a name for itself in social gaming, it’s not something I’m taking lightly. While some companies like Zynga have dominated the youth demographic with games like Mafia and Poker, WonderHill is looking to target an entirely different audience, honing in on the 30+ demographic with games with a broader appeal. The company has just closed a $7 million Series A funding round led by Charles River Ventures and Shasta Ventures, and currently has two games live on Facebook and MySpace. The company’s greatest asset is its team. CEO James Currier founded Tickle, one of the earliest pioneers in viral marketing, in the late 90’s (it later sold to Monster.com for over $100 million) and is on the board of directors at Linden Labs (the makers of SecondLife). CTO Stan Chudnovsky was also a long-time Tickle employee, becoming that company’s CEO following Currier’s departure. And Chief Creative Officer Nick Rush has held executive positions at Pogo, Electronic Arts Online, and iWin, where he created a number of very popular games. He was also involved with You Don’t Know Jack (one of my all-time favorite games) and the Flying Toasters screensaver. As for the games themselves, Currier says that WonderHill is looking to take the “Pixar approach”, building family-friendly games with high production values that could be played by anyone, without having to dumb them down too much for children. They’re fun and casual, but non-violent. 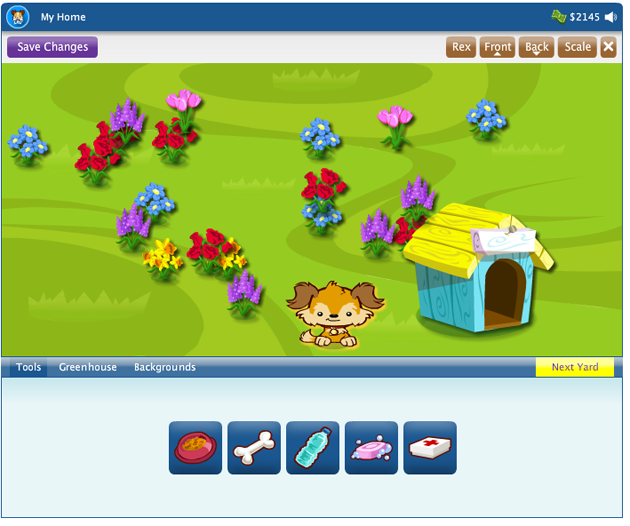 At launch the available apps include Dog World, a virtual pet app with around 1.25 million active users across Facebook and MySpace, and Green Spot, a gardening game with 1.5 million active users. The company plans to build out more casual games in the near future, beginning with some of basics (word games, card games, etc) and eventually ramping up to entirely new gameplay. For starters these games will all be played through social networks like MySpace and Facebook, but the company has plans to expand to the iPhone as well. Revenue will be generated through micro-transactions – the company isn’t going to be relying heavily on advertising. WonderHill isn’t by any means a sure bet. There are already quite a few social games made ‘for everyone’, even if they aren’t all flying under a single banner. But it’s hard to argue with the experience these guys are bringing to the table, and the older demographic they’re targeting is among the fastest growing on social networks – and they’re probably going to be looking for something other than Vampires to pass the time.